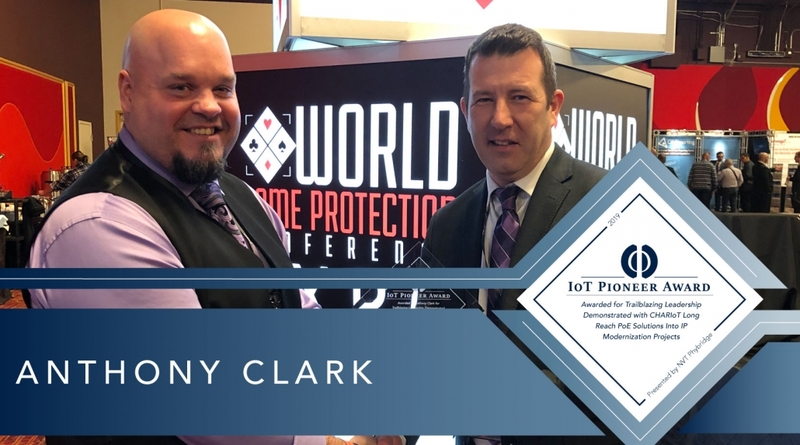 Congratulations to Anthony Clark, Surveillance Director at Soaring Eagle Casino & Resort, for winning the IoT Pioneer Award! Anthony helped his organization changed the conversation around traditional LAN design philosophies; leveraging Modern LAN Principles to improve the outcome of their digital transformation. Anthony and his team used the CLEER24 switch solution, with SmartPathPoE™ technology, to eliminate infrastructure barriers as they modernized to a new IP security system.